SABB and Alawwal Bank’s all-share merger creates a $77 billion lender by assets, the kingdom’s third-largest. For major investors HSBC and RBS, synergies offset anaemic domestic loan growth. And if Saudi’s economic revival goes awry, it gives them a more valuable entity to sell. 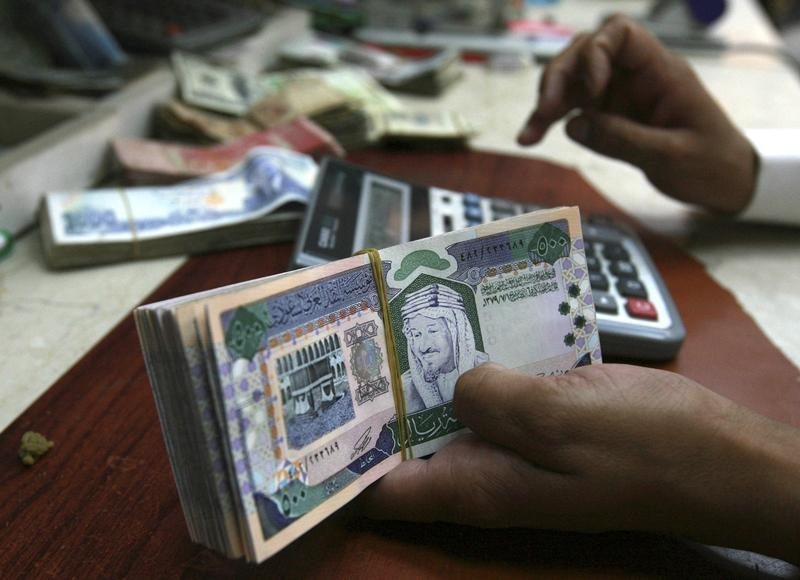 Saudi British Bank (SABB) and Alawwal Bank have agreed an all-share merger that would create Saudi Arabia's third-largest bank with assets of around $77 billion, Reuters reported the two banks saying on May 16. Based on the exchange ratio and the closing price of 33.5 riyals ($8.93) per SABB share on May 14, the last trading day prior to the date of the announcement, the merger would value each Alawwal share at 16.3 riyals, giving Alawwal a market capitalisation of approximately 18.6 billion riyals, the statement said. That represents a premium of 28.5 percent to the undisturbed Alawwal share price, the banks said. SABB, which is 40 percent owned by UK-based HSBC, said in April last year that it and Alawwal had agreed to start talks on the merger. "A binding agreement is yet to be entered into between Alawwal Bank and SABB," the two banks said. "Any binding agreement to proceed with the merger will be subject to a number of conditions, including SAMA [central bank], other regulatory authorities, and the shareholders' approval." Progress on the merger had taken longer than expected partly because the regulatory environment for bank acquisitions in Saudi Arabia is relatively untested. Shareholders were also assessing any potential impact from the kingdom’s anti-corruption drive, Reuters reported in January citing two sources.